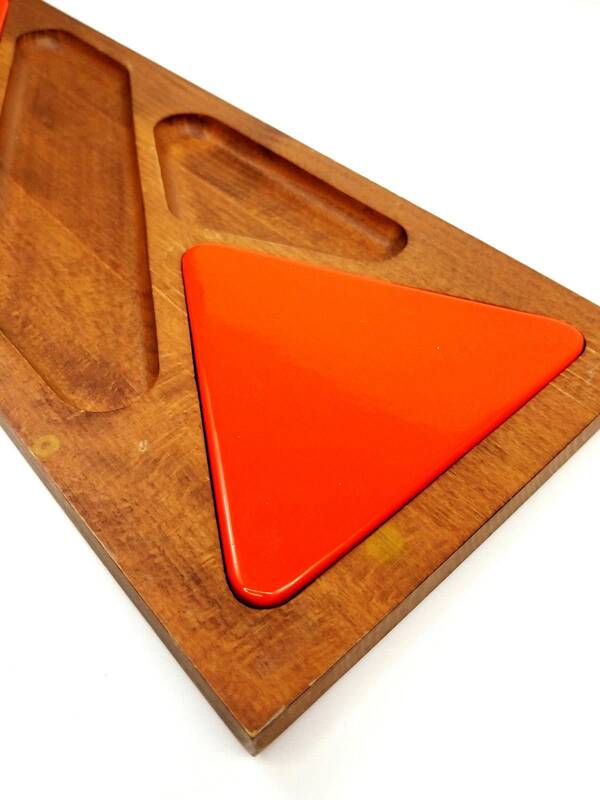 Impress your friends at your next party when you serve a delicious cheese plate on this fun tray! 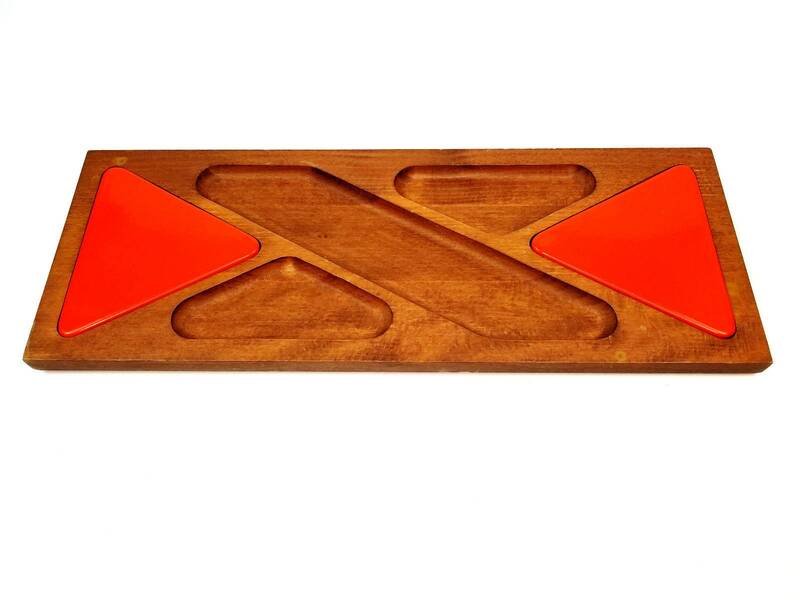 The wood and orange porcelain enamel Woodcrest by Styson style tray is in very good condition. Please see photos for details. 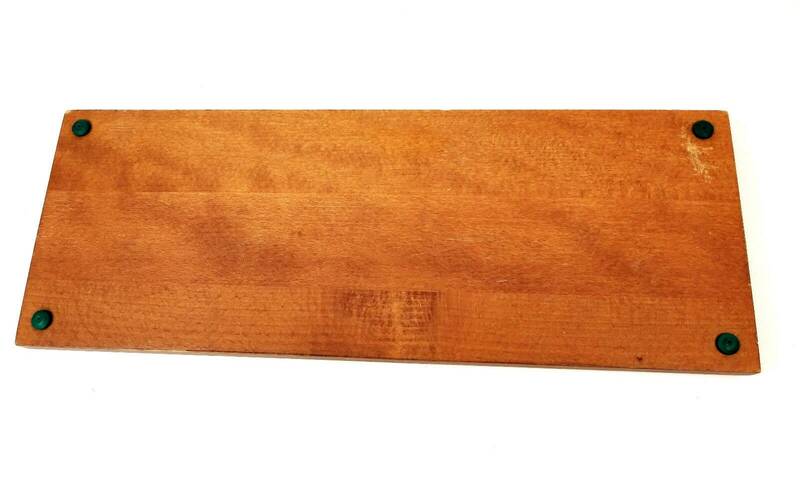 Measures 21 1/2" long and 8" wide.